Attaching a few pictures, in the Photo Scrapbooks, that Max Patrick & John & Karen Kelly took. Hope you enjoy and add your photos after your visit. Individuals can purchase a personalized brick, or 8x4, with your name, a friend's name or someone you want to honor. Profits from the sale go to West High to provide a service to students with academic needs. Price $50. Need to do this now before the company starts on another project. For details & questions please contact: Isaac Goodvin "Class of 1955". ikegoodvin@earthlink.net or 770-335-8308. Make checks payable to: West High Alumni association. 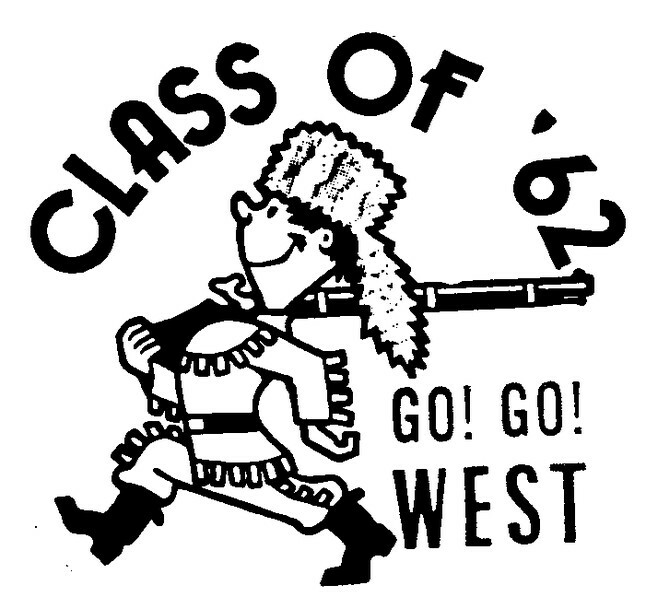 This site was created to help promote, celebrate and reconnect with Wichita West class of 1962 classmates. Your participation is essential for it to succeed. We need your photos, updates, and memories to enhance the site. Your fellow classmates will enjoy hearing about you. Even if you haven't attended a reunion, nor kept in touch since high school, we ask that you please take the time to update your profile and maybe add a photo of two. Your additions will make this site fun, interesting and complete. If this is your first visit, to get you started, please click on "First Time Visit" on the left side of this page. If you have already joined, please log in to view the announcement area. People are checking us out! Know the email address of a missing Classmember? Click here to contact them!